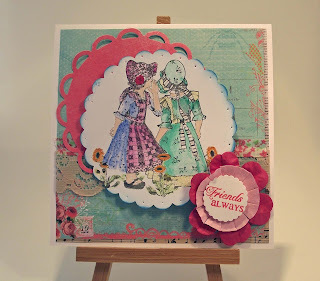 today posts is my DT card for the Cards Galore challenge Vintage Ribbons Lace and Buttons which starts today 1 September. Our sponsors for this challenge is the wonderful Scrappers Delights and the prize is a voucher to spend in their store! Janice, from Scrapper's Delights, designed some fabulous vintage digital stamp, especially for the design team to use for this challenge. And what's more, from today you will be able purchase them from their store, Scrappers Delights store. Who has kindly given us a $5 voucher for the winner to spend at there store!!! My card was made using one of the specially designed digi stamps from the Scrappers Delights called Holly Hobbie Set 1. The image was printed onto white cardstock and coloured using watercolour paints. I tried to keep the colours soft to create the vintage look needed. I punched the image using a scalloped circle punch and highlighted the edges with Distress Ink in Tumbled Glass. The base card is a 5x5 inch tentfold card with blue-green patterned paper panel wrapped with a band of lace and adhered to the front of the card. I then used a Nelly Snellen die to make the deep pink scalloped circle and adhered it , slightly off-centre, to the card. The coloured image was popped up on some foam adhesive and place in the centre of the card. To finish the card I stamped the sentiment 'Friends Always' from Verve Stanps onto a smaller scalloped circle and used it as the centre of a pink flower. 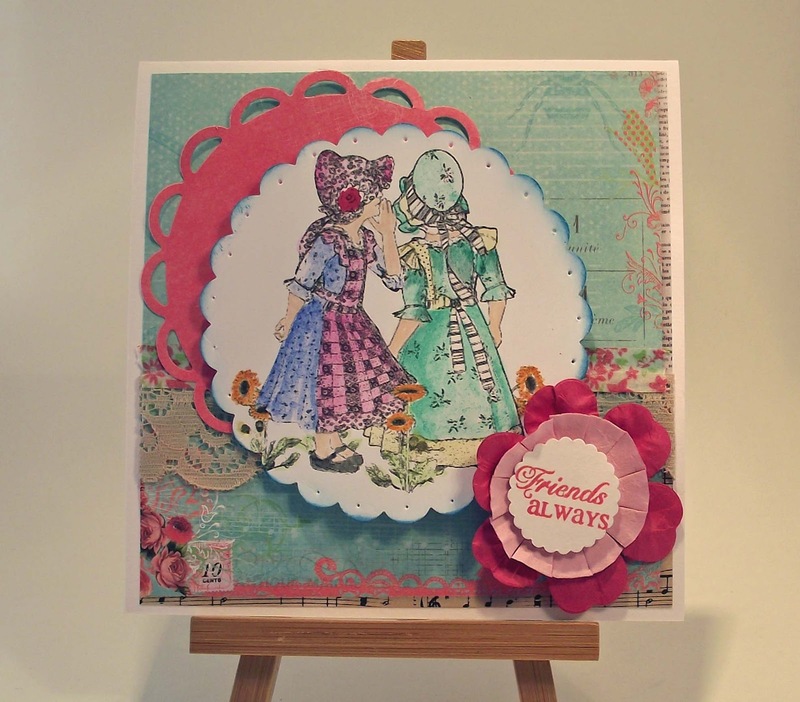 The DT at Cards Galore have created some beautiful projects using this and other digital stamps from the Holly Hobbie set. 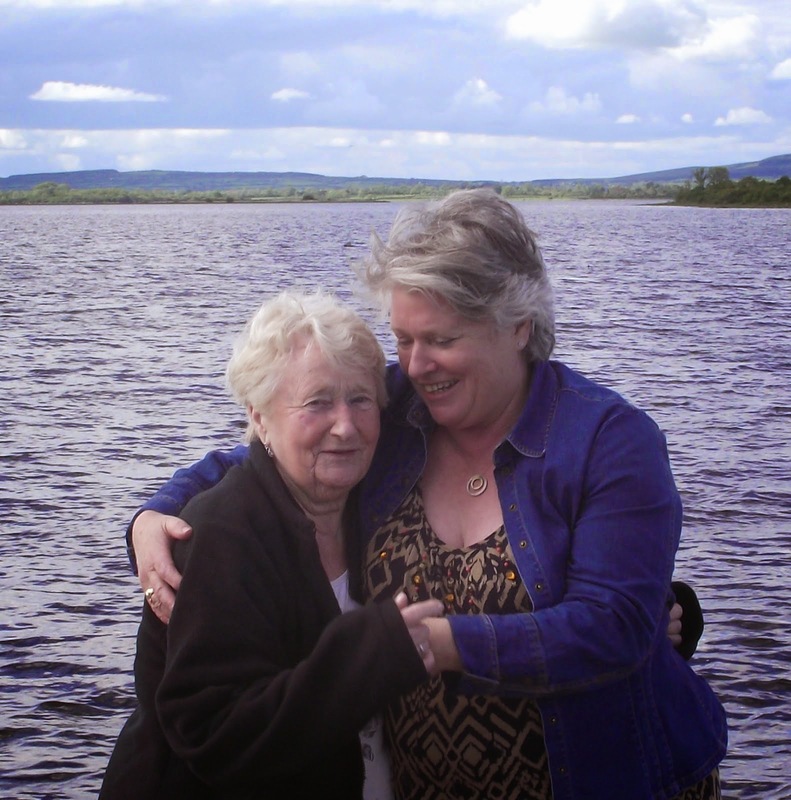 Don't forget to pop over here check these fab projects out . Thanks again for stopping by to read my blog. Your time and comments are much appreciated.